Let’s face it, handmade and from the heart just tastes better! 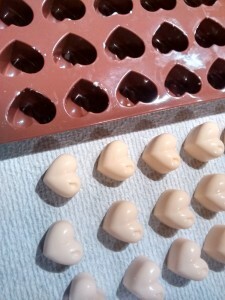 Today in Happy Hollow I am making Handmade Candy Hearts for My Sweethearts this Valentine’s day! 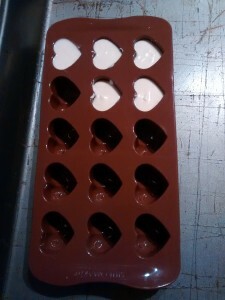 I scored this amazing silicone mold brand new at a local thrift shop and FINALLY got the chocolate to work with. I know for the quality here, I am definitely saving money as well. DIY for the win again! 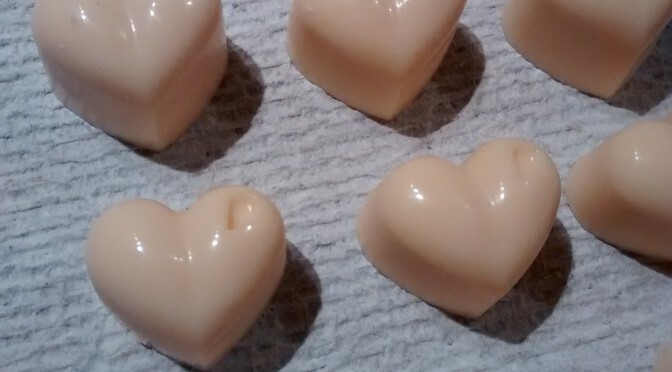 Look at those beautiful glossy hearts! I can’t wait to get some paste colors to turn the next batch pink. I may even throw in some greens and blues for my little boy sweethearts. I’m also going to experiment with painting the little “shine” red then adding the chocolate. 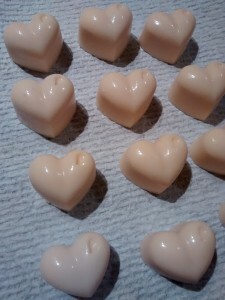 I think it would make the perfect accent to these gleaming glossy Valentine’s hearts! I’ve found the best way to melt chocolate is the double broiler. I don’t actually have one so I simply put a metal mixing bowl over a small pan of boiling water. #RethinkYourResources. You could also use a small pot sitting over a slightly larger pot. 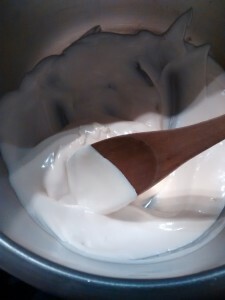 The handles are more convenient than a mixing bowl! Be sure you do NOT get any of your double broiler water in the chocolate or it will seize up into an un-usable crumbly mess. I can’t wait to give these away to all my loves! I want to see your handmade sweethearts too. Share in the comments below!